TREES!!!! Scavenger hunt game about trees for kids 3-6. Great for small kids, daisy scouts. An easy, fun introduction to trees! 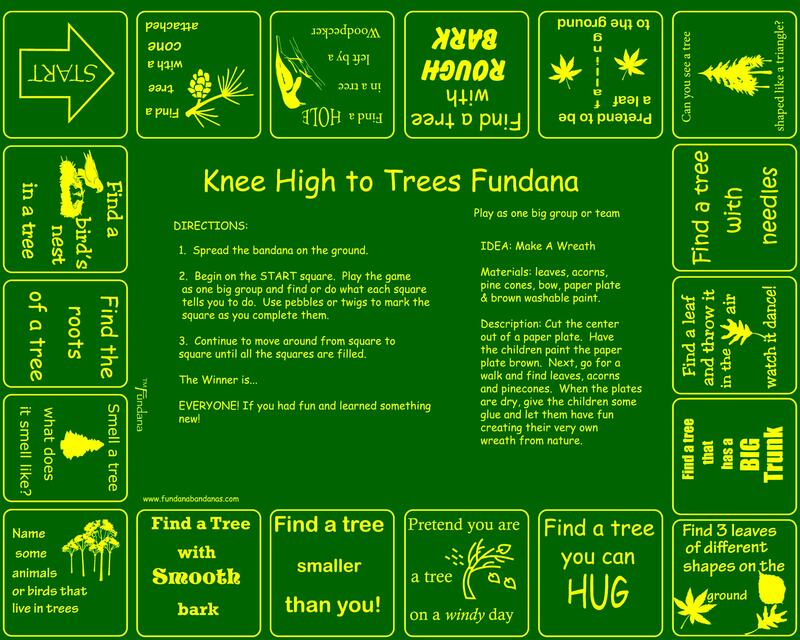 The Knee High to Trees Fundana is a scavenger hunt designed to teach kids 3-6 about the wonderful world of trees in a fun, different way. It is printed on a 100% cotton bandana. Some of the questions/activities are: "Find a tree with rough bark", "Smell a tree what does it smell like" and more! Kids learn and discover at their own pace. A welcome change to computers! Free Shipping to addresses in the United States!